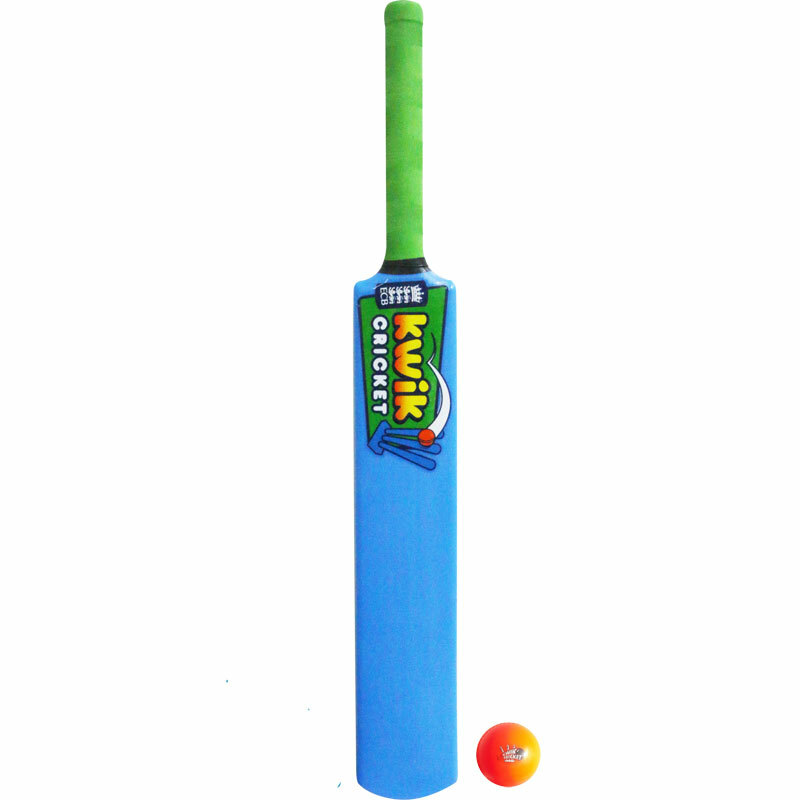 Gray Nicolls Kwik Cricket Bat and Ball Sets - Kwik cricket is a simplified version of standard cricket. Played in schools across the country this is the perfect introduction to the game for 7-11 year olds. Set comprises of 1 bat and 1 ball. Available in 3 different sizes - Kinder, Small and Medium. 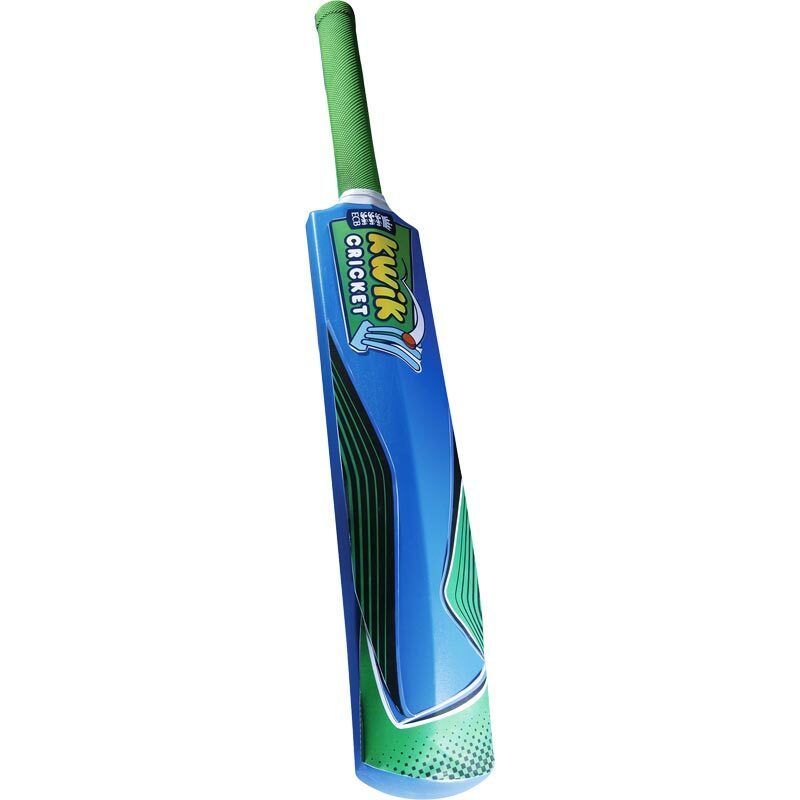 Bat manufactured from high quality moulded plastic. Ball manafactured from rubber plastic with printed Kwik Cricket Logo. Medium Bat: 30", size 5, approximate age of 9-11 years. Small Bat: 28", size 3, approximate age of 6-8 years. My 11 year old son loves this bat. Good fun. My 3.5 year old is very pleased with this. He is small for his age and the bat is only a little too big. The ball is firm but not too hard when it hits you. The bat is pretty light but can still hit an impressive distance. Great product at a low cost. Fun for all the family on days out. Could of done with including the wicket set. My six year old grandson loves it, size 0, not too heavy and the ball goes well with the bat.